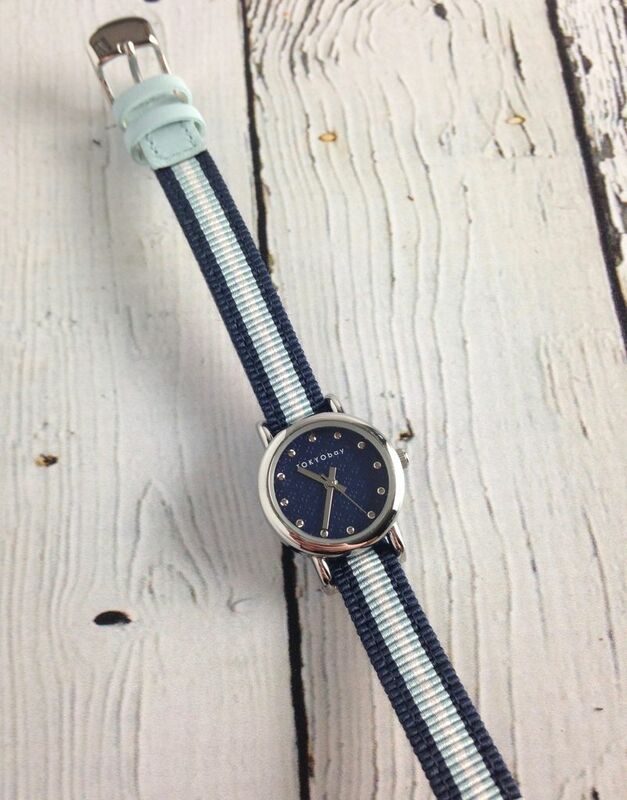 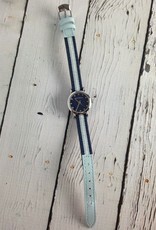 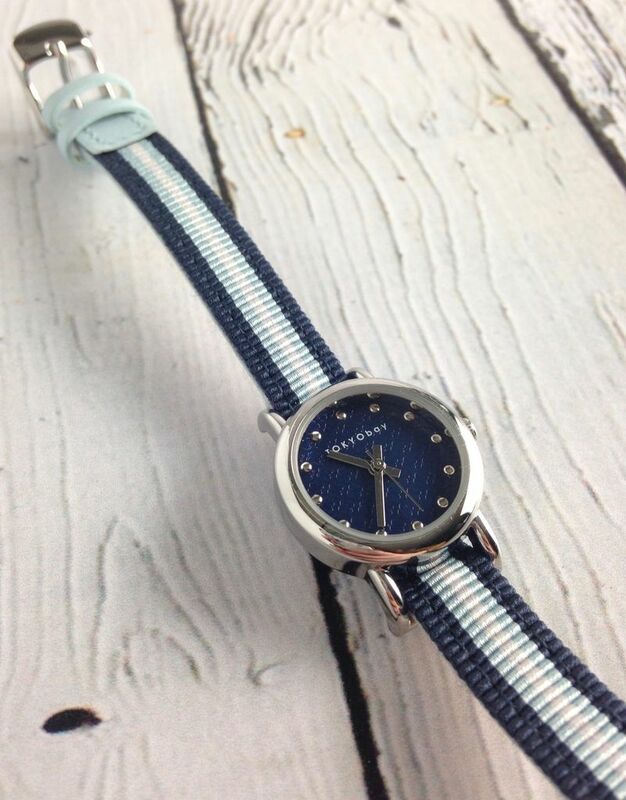 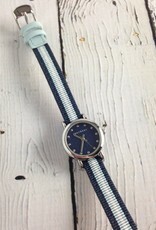 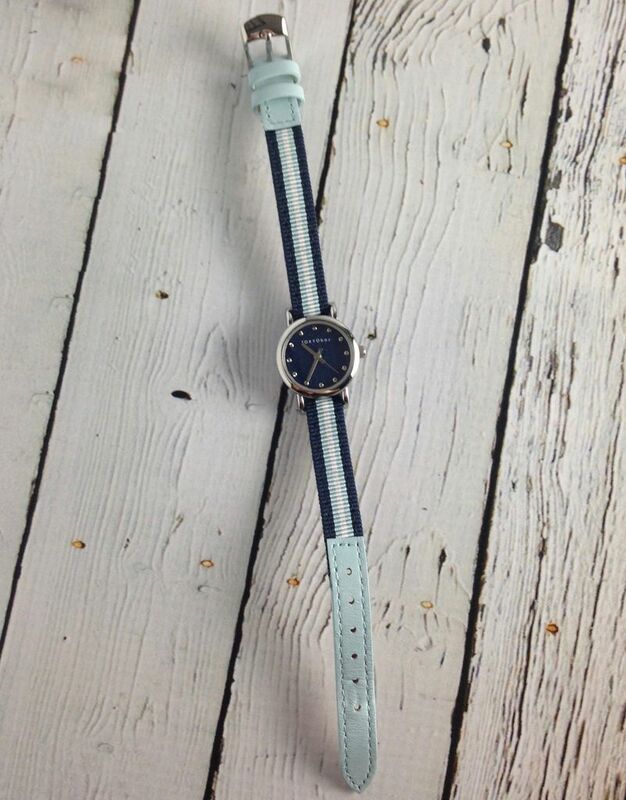 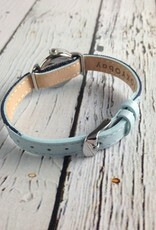 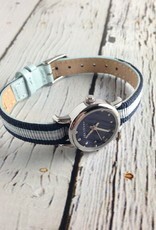 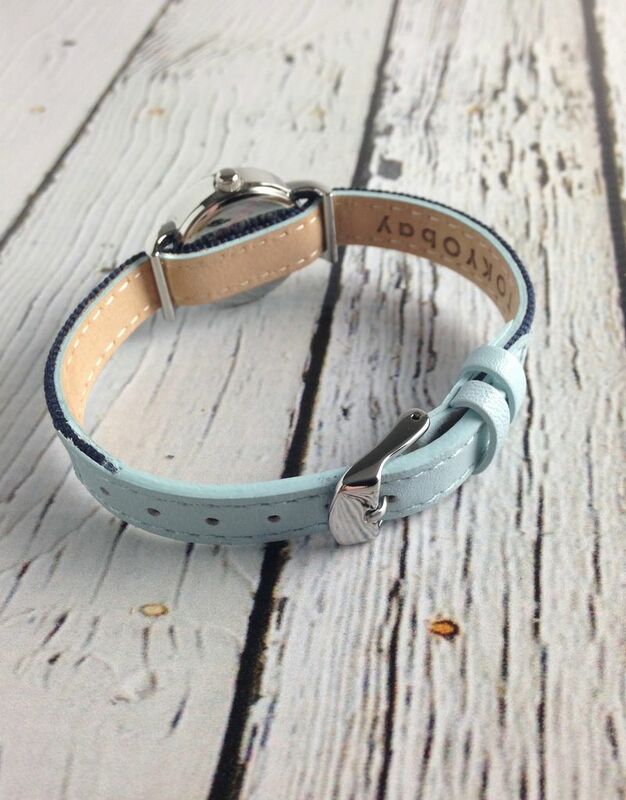 This petite watch made with tonal blue silk Obi cord is stitched onto pale blue genuine leather. 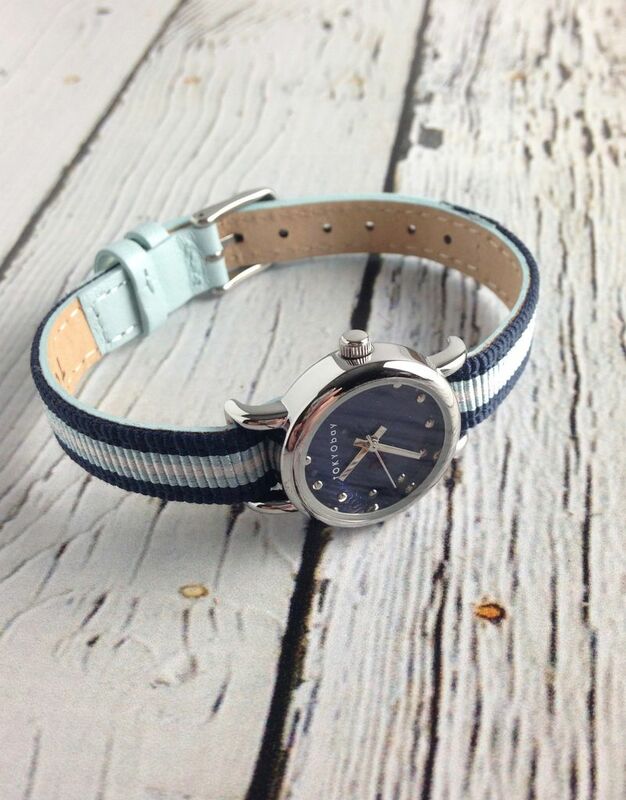 A minimal applied dot index and Japanese etched dial further highlights the playful mix of prints. 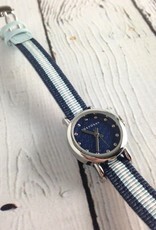 Designed in San Francisco by Tokyo Bay.